As I mentioned in the last blog I would stop and have a swing at the third site to gain some idea of what treasure was to be had. After the single dog tag from the last site it was obvious after only five minutes that this site was going to be a completely different ball game. The area just to the front of the house looked fairly flat in front of what may have been the remnants of a stable or out building of some type. 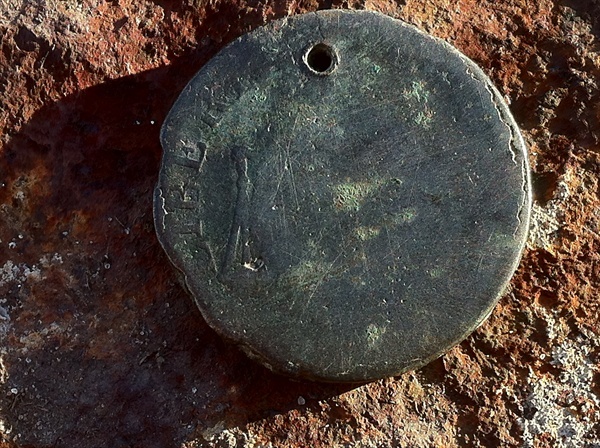 Bingo a booming first signal, I could tell it was an early half penny from the mid 1800’s by the unmistakeable young head of Victoria, hence why they are called either a young head or bun head penny or half penny. 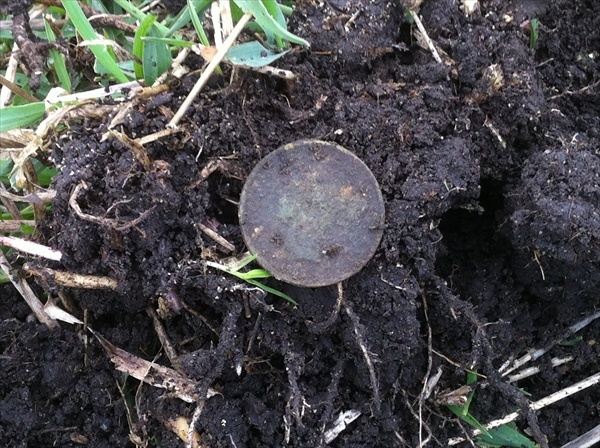 From this point onwards time became a distant thought and coin after coin flowed from the ground, this was definitely my best hunt in a long time. There was a mix of young head and George III pennies amongst the half pennies, just when I didn’t think it could get any better I had a solid 12:47 breaking to a 1:48 occasionally signifying that it could be a big silver or another really large penny. 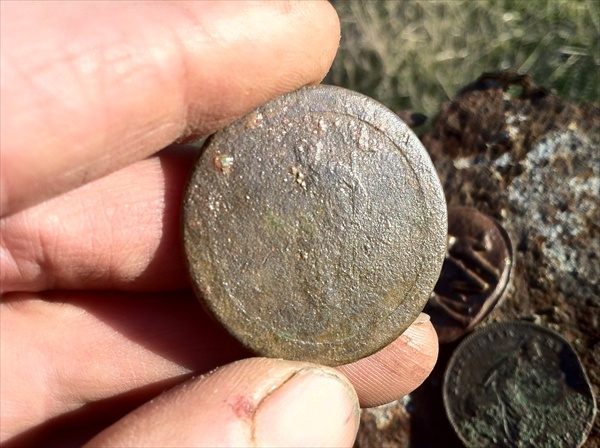 A smile came across my face when a big, thick cartwheel penny surfaced and made the hunt even more interesting, it is always good to score a coin from the 1700’s and they were minted in 1797. 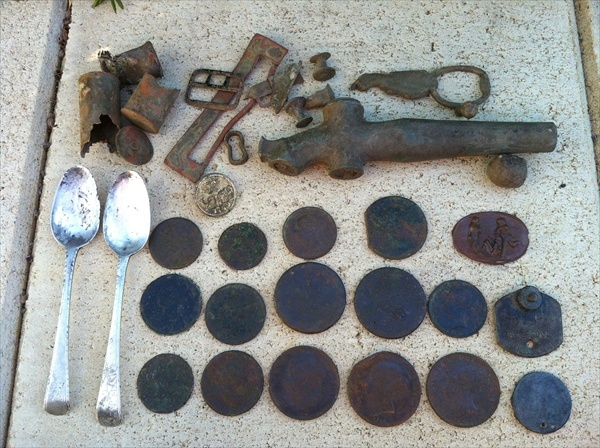 All up I found 15 coins and some excellent relics including a small cricket buckle, brass harness rivets, barrel tap, musket ball and your typical bits and pieces but my favorite are two silver spoons with the initials of one of the early settlers on them. 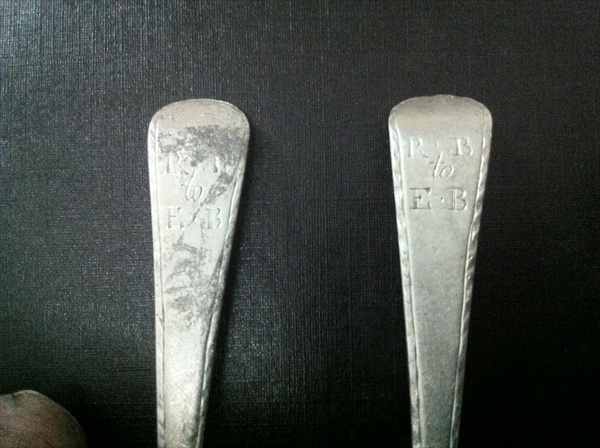 These items are special to me as they give an insight into who lived there, some further research revealed that Elizabeth B’s (EB on the spoon) father was a Joseph B, Elizabeth married W. Jacka who came to South Australia in 1850. He was an engineer/labourer at the Callington and Strathalbyn mines before trying his hand at farming, he died from typhoid fever in 1866. Elizabeth remarried Hugh K and had six children. There was also a button that is very interesting but I am still unable to put the pieces together as to its history, I will post later on that individual item. 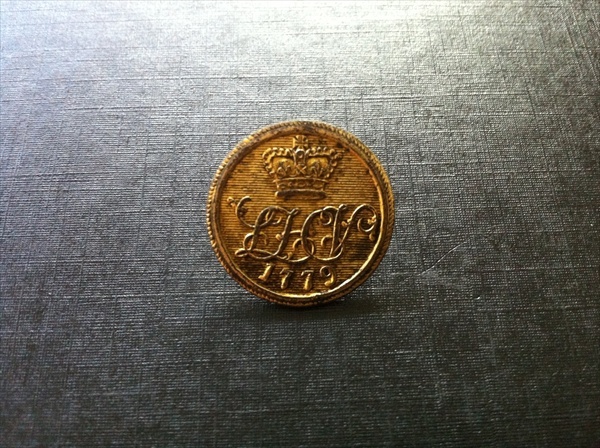 It was made by a company Firmin & Langdale 1812 – 1823, makers of buttons for the military. One really interesting find for the day was a coin that was almost smooth but identifiable by a few small details, a 1793 French 1 Sous. REPUBLIQUE-FRANÇOISE . / L’AN II . Happy hunting and stay positive. Certainly plenty of research opportunity’s with that interesting collection, .. quite amazing.